AssureHire automates applicant background screening processes across various industries in the U.S. and internationally. Its services include criminal background checking, drug testing, compliance screening, and more. In this article, we covered user reviews. 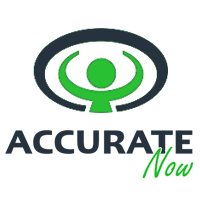 Ready to get started with AssureHire? Contact their support team for more information. As of the date this article was written (10/31/2018), there are not a lot of AssureHire reviews online. However, some users said that the program is intuitive, easy to use, and mobile-friendly. Some also commended the efficient turnaround time and accuracy of the results. One user who gave AssureHire a positive review on G2 Crowd said that the program has helped fast-track their background and reference checking tasks. She also shared that it has efficiently relieved them of manual downloading and uploading of data as it can automatically fill their system with the required information. There are no negative AssureHire user reviews online as of this writing. AssureHire doesn’t publish its subscription plans online. Pricing for similar providers usually ranges from $20 to $100 per report depending on the type of search required. Interested parties may contact their sales team to request for a customized quote. Additional third-party fees may also apply depending on the screening services needed. 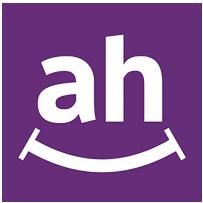 Ready to get started with AssureHire? Contact their support team for more information. What industries does AssureHire cater to? AssureHire provides services to all kinds of business industries. Some of the industries that they frequently cover include staffing, manufacturing, small business, gaming, financial, transportation, retail, hospitality, non-profit, and more. Turnaround times vary depending on the quantity and type of screening required. Interested users can contact their sales team to know more about their offerings. Information on specific third-party integrations is not readily available on the company’s website. However, AssureHire claims that their program can be integrated with ATS,HRIS, and ERP systems. Interested users may contact the company’s support team for more information on their available integrations. Not sure if AssureHire is the right fit for you? Read our reviews of all top background check providers or check out one of these three AssureHire alternatives.